This post is sponsored by Red Gold® Tomatoes and SheKnows Media. 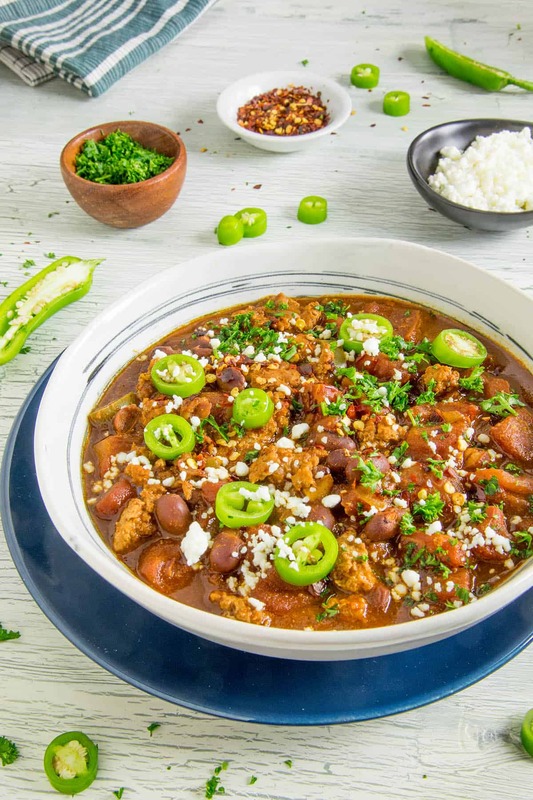 A recipe for chili that is so easy, you’ll have family dinner on the table with hardly any effort. It’s perfect for cooler weather and busy schedules – with just the right amount of spicy. Chili is on the menu tonight, my friends, because the weather is turning nice and cool and chili is always PERFECT for this time of year. 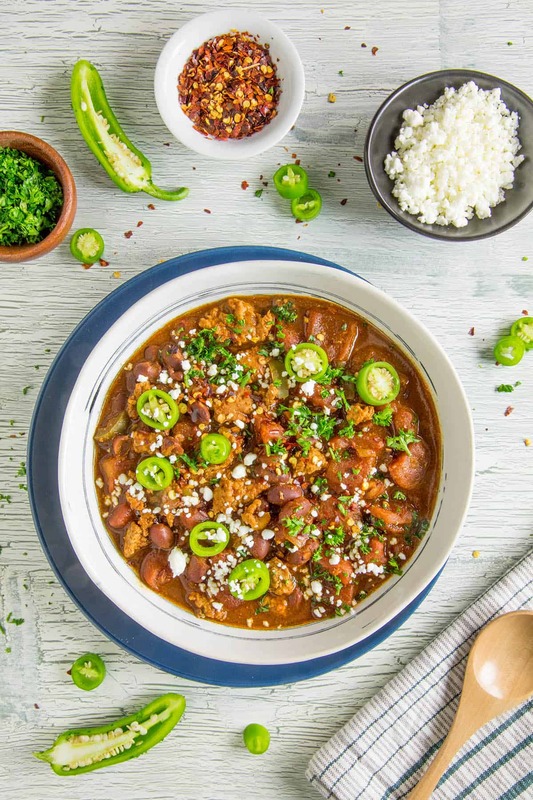 We’re also slammed here lately, as I know you all are, so I’ve made this Chili recipe as easy as possible so that you can fit into your busy family schedules. I’m working with Red Gold Tomatoes to make this happen. Red Gold® Tomatoes are family owned and family grown. They’ve partnered with local family farms for over 75 years to provide the freshest, best tasting tomato products in the world. Their products are steam packed fresh with nothing artificial, proudly made in the USA, and give that true tomato flavor without any “can” taste. Do you live in the Northeast? Check out Red Gold’s sister brand Redpack Tomatoes for products with the same family grown quality in your area. Let’s talk about how we make the chili recipe, shall we? First, heat up a large pot to medium heat and add a bit of olive oil. Add some ground beef or ground turkey along with peppers and onions and cook them down about 5 minutes or so, until the beef is mostly cooked through and the peppers and onions have softened up. 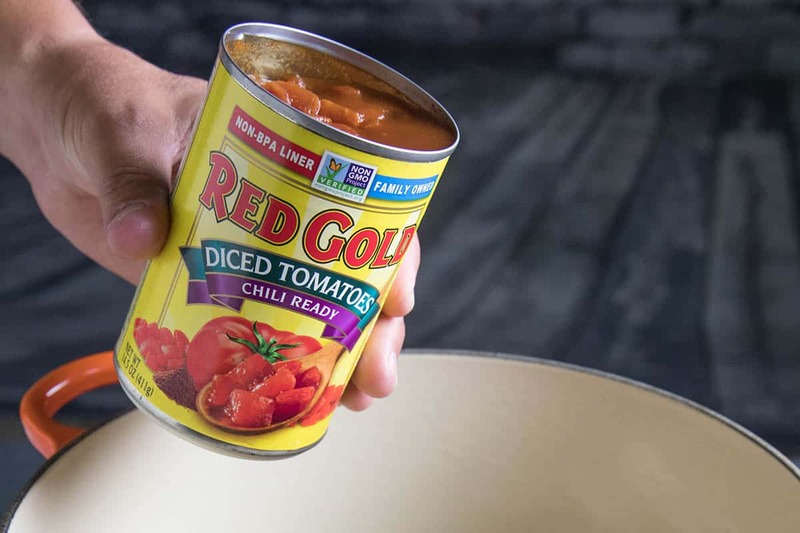 Stir in some garlic, hot chili beans and your Red Gold® Tomatoes. 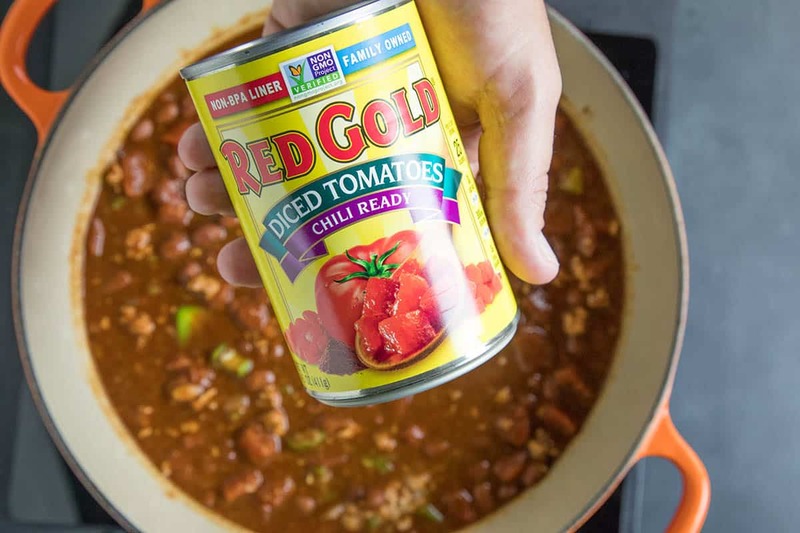 I’m using the Red Gold Diced Tomatoes Chili Ready for this recipe. No chopping! Extra seasonings! 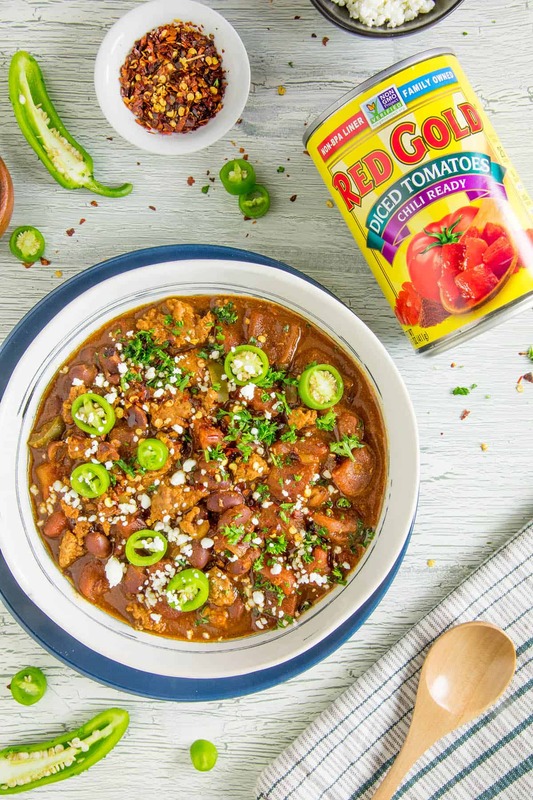 They’re not only great for quick chili, but they also add an extra pop of flavor to other easy recipes, like casseroles or baked chicken. 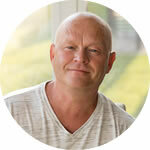 Next, swirl in your chili powders and seasoning mixture – more on that below – and set the mixture to low heat. 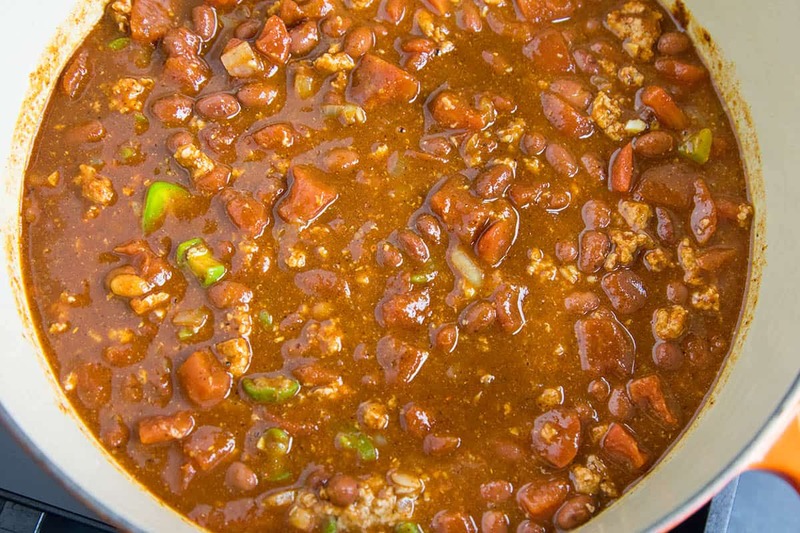 Let the chili simmer for 45 minutes to an hour. When you’re ready to serve, give the pot of chili a stir. 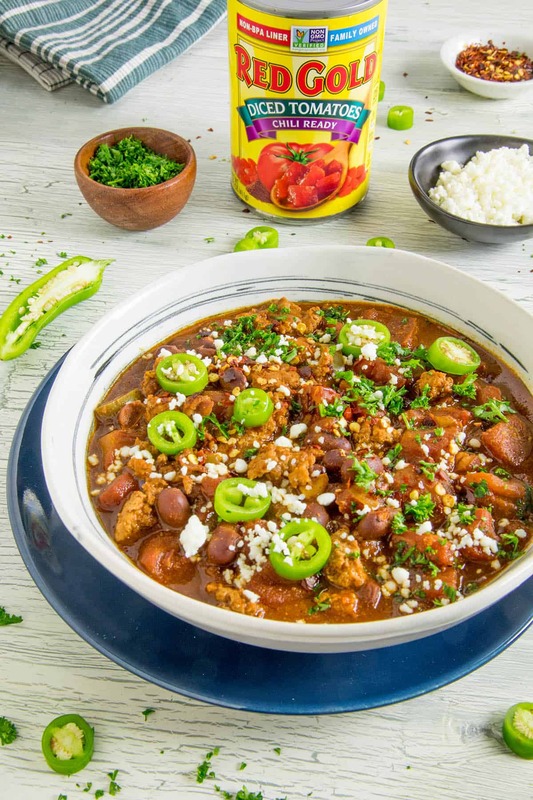 Scoop it into bowls, then top it with your favorite fixings, like shredded cheese, crackers, chili pepper slices, fresh herbs, whatever else you love on your chili. Maybe some hot sauce! I truly love an easy, easy recipe. This was the easiest. 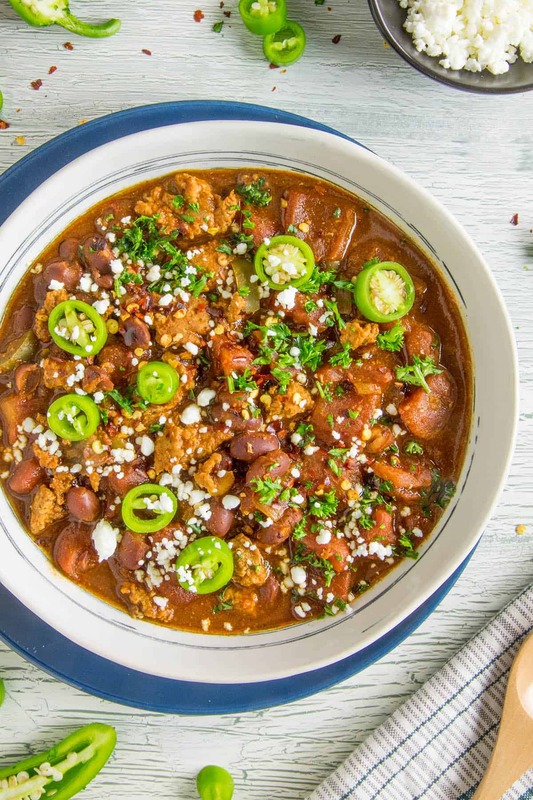 The only downside of this recipe is how the entire house smells like chili cooking, wafting through the air, driving me (and everyone else) insane with hunger. The whole family will be waiting with anticipation. You’ll just have to deal with it! Upside? You’ve just made for yourself a good hour of family time while the chili simmers away. Absolutely! Follow the recipe, but first cook down the peppers and onions with your ground meat in some oil in a pan first, then simply transfer the mixture along with the remaining ingredients to a slow cooker. Give it all a swirl and let it cook low and slow for at least 2 hours on low, or until the flavors meld to your liking. You can let it cook longer. 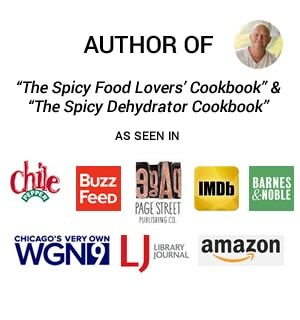 I have a LOT of seasonings in my house, for obvious reasons, so I like to use a combination of red chili powder, ancho and morita chili powders for my chili, along with a bit of cumin, and salt and pepper. However, feel free to use your favorite red chili powder or blend. The choice is yours. This recipe works great with either ground beef or turkey, depending on your preference, but I’ve made this also with ground pork, ground chicken, and even ground sausage. It is SUPER versatile. Also, feel free to vary up the beans. Most people use pinto beans for their chili, but I love large butter beans and will often toss those in for some visual and flavor variety. I just crave them. Go crazy with beans! I used a couple jalapeno peppers along with some extra spicy chili flakes to add to the spiciness and heat of the chili powders. You can tamp down the heat by using bell peppers instead and omitting the spicy chili flakes. You’ll still get plenty of heat from the seasonings. 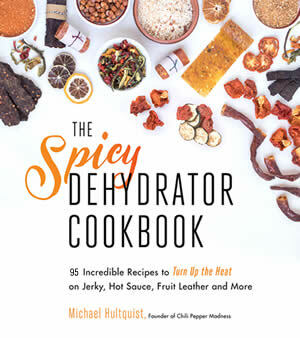 If you’re looking to up the heat factor, use spicier peppers and extra chili flakes. Serranos, anyone? Yes! That’s it, my friends! Time to get cooking! 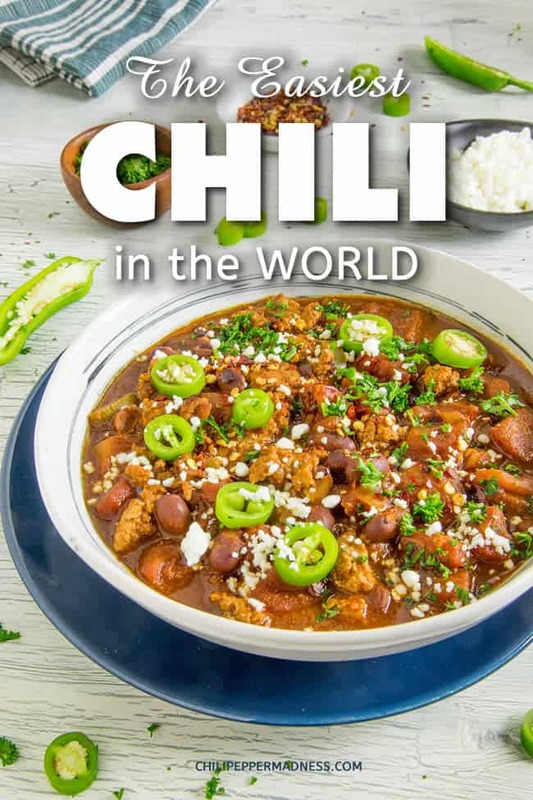 I hope you enjoy your super easy chili! If you can’t find Red Gold® Tomatoes in your area, try Redpack Tomatoes as a great alternative. 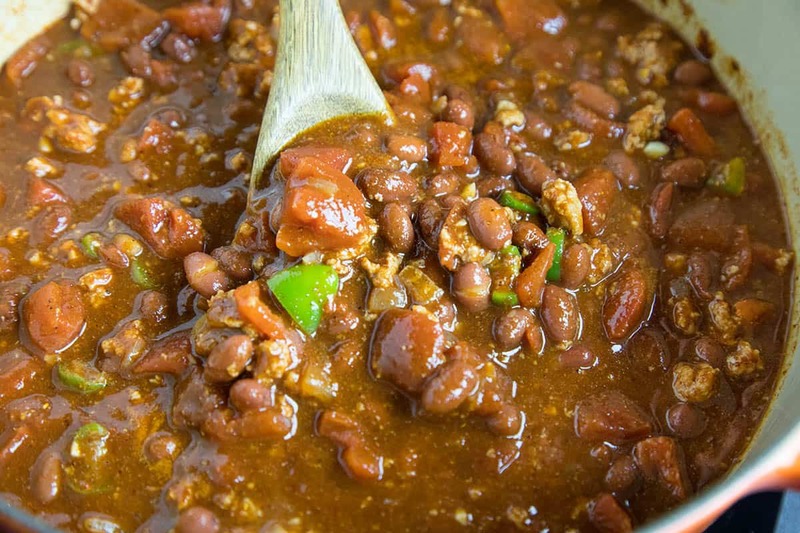 A recipe for chili that is so easy, you’ll have family dinner on the table with hardly any effort. 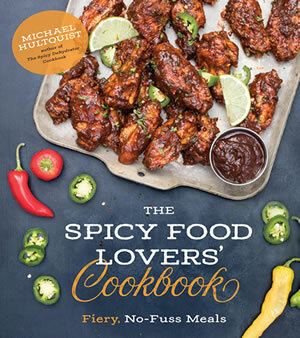 It’s perfect for cooler weather and busy schedules - with just the right amount of spicy. Heat a large pot to medium heat and add the olive oil. 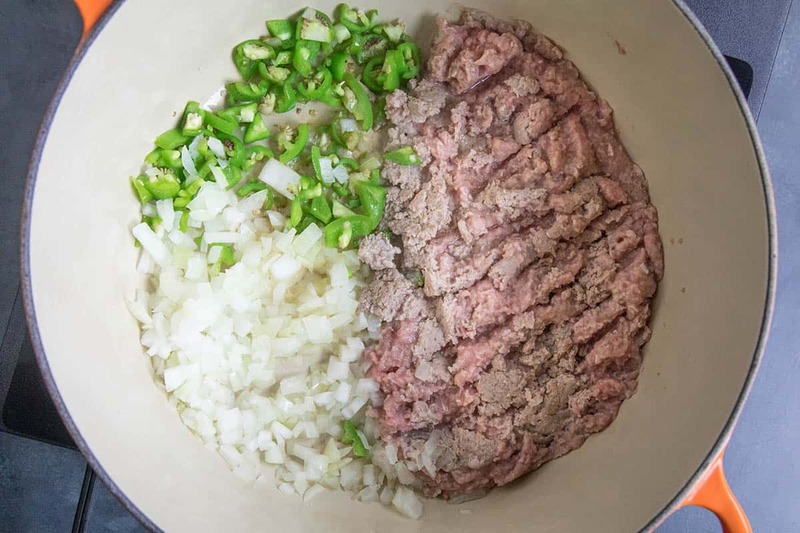 Add the ground meat, onion and jalapenos. Cook them down about 5 minutes, until the meat browns and the onion and peppers soften up. Add the remaining ingredients and stir everything together. Bring to a quick boil, then reduce the heat and simmer at least 45 minutes. Adjust for salt and pepper and serve into bowls. Top with your favorite fixings. Going to try this for my Superbowl party! Can’t wait! Awesome, so easy! And tasty for sure. 1. Mix the beans, diced tomatoes, and the tomato sauce in a large pot on medium heat. 2. Cook the stew meat in a skillet with the onions, garlic and the Worcestershire sauce. 3. Cook to brown the meat then add to the pot. 4. Add the chili powder and the cumin. 5. Add the beef bouillon cubes and the garlic to taste. 6. Boil until the consistency is as desired. Doesn’t take any time at all.. Sounds quite delicious, Leo! Thanks for sharing! You had my full attention at “easy” and you weren’t wrong! I can definitely make this without my girlfriend yelling at me for messing it up haha I’ll give this recipe a try soon, thank you!